Button Battery warning: What should parents and doctors do? In 2013, four-year-old Summer Steer died from acute blood loss several days after swallowing a button battery. She hadn’t told her family she’d swallowed anything, so they didn’t know what was wrong. At least not until the caustic reaction caused by the battery, which had lodged in her oesophagus, ate through to her aorta. She presented to hospital with a series of small bleeds, followed by a torrential haemorrhage. The battery was only discovered after she collapsed and was intubated – it showed up on a chest X-ray, taken to check the ventilator tube position. Her death devastated a family and raised many questions about why this wasn’t prevented. Children with button battery injuries have been reported in medical literature since the 1970s. But what was once a rare occurrence has now become more common. There has been a spike in the number of reported severe and fatal button battery injuries. This has paralleled the increasing use of button batteries in domestic products: torches, remote controls, car keys, ornaments and artificial candles. Severe injuries and deaths are associated with ingestion of larger (usually lithium) disc batteries, 3V in strength and greater than 20mm in diameter. But smaller batteries can also result in severe injury. How do button batteries cause such severe damage? When a button battery has sufficient charge (1.2V or more), is lodged in one place inside the body (commonly ear, nose or oesophagus) and lies against a moist surface, an electrical current is generated. The current breaks water molecules, producing hydroxide and hydrogen gas. Hydroxide ions are caustic (the main constituent of oven or drain cleaner) and cause “liquefactive necrosis”, which means they eat through body tissue. Larger lithium button batteries have a shelf-life of ten years and sufficient current to kill, even when they don’t work in the product. In contrast to button batteries, cylindrical batteries are harder to swallow, the poles (positive and negative) are further apart and they tend to be passed through the system without lodging. Almost all deaths involving button batteries have been associated with oesophageal lodgement and erosion into the aorta (the main artery leading from the heart) or other large vessels, with subsequent massive haemorrhage. Following Summer’s death in 2013, another Australian child died in 2015 in similar circumstances. Another child in WA has survived with serious ongoing complications. A small but significant subset of children don’t die, but sustain severe injuries after button battery ingestion. Even if the ingestion is recognised immediately, transport times to facilities that have the expertise to remove the battery can be prolonged. Perforation of the oesophagus can occur within two hours, and damage continues even after the battery is removed. Such children require long-term care and many operations and procedures to correct the damage caused by the battery. 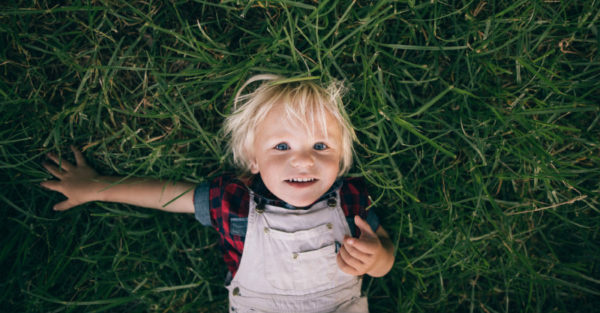 A coronial inquest into Summer’s death concluded with 13 recommendations outlining actions for button battery manufacturers, product retailers and suppliers, product safety regulators (like the ACCC) health departments, ambulance services and GPs. The coroner communicated findings and recommendations extensively throughout Australia. Although rapidly identifying and removing impacted batteries can save lives and reduce long-term suffering, this is only salvaging an already bad situation. Button battery injury could be prevented by designing products that run on alternative power sources. Mandating warnings on product labels and advertising (allowing parents to select alternative products), securing battery packaging and battery compartments, and making products fit for purpose so they don’t break and release batteries on impact would reduce exposure and access. Currently, this is only mandated for toys designed for children under 36 months. The ACCC has engaged with industry to develop an industry code of best practice. Though not enforceable, this document has been used to engage industry to ensure products are “safe” as required under Australian consumer law. Searching for “button battery” in the recalls section of the Product Safety Australia website shows there have been a large number of voluntary product recalls where products have fallen short of these guidelines. Despite a multi-faceted (though patchy) prevention campaign across Australia with industry, health services and general public awareness and engagement, the number of children with button battery exposures being reported to Poisons Information Centres and Injury Surveillance Units is still increasing. National estimates are that around 20 children a week present to emergency departments. Since December 2017, the Queensland Injury Surveillance Unit and the Australian Paediatric Surveillance Unit have partnered to collect detailed national data on the most severe button battery injuries. That is, those that require a medical procedure to either remove the battery or to assess/repair damage caused by the battery. We anticipated a handful of cases per year, but in the first seven months, nine severe battery injuries have been reported. Six had batteries stuck in the oesophagus. In one child, the battery had moved past the stomach by the time of endoscopy, and in the other two children, one battery was lodged in the nose and one in the ear. Follow-up data collection will allow us to better describe the long-term health outcomes and impacts. We are collecting valuable information describing the types of products associated with the battery injuries to enable us to better inform industry and regulators. So far, our data show Australia children continue to be severely injured due to button battery ingestion. We need to maintain vigilance and pressure on industry to seek safer alternatives. What should parents and doctors do? Parents, family members, teachers and carers should strive to keep button batteries out of reach of children. Don’t buy products that contain button batteries, but if you have to, buy durable products and keep all battery compartments securely locked. It can be difficult to recognise if your child has swallowed or inserted a battery as the symptoms can be similar to other common ailments. The child might have an increasing cough, drooling, vomiting, refusal to feed, bleeding from the gut (red or black vomit or bowel motions), discharge from the eye, ear or nose or a fever. And doctors need to be aware this is an increasing problem and to keep it in mind when making a diagnosis. If you (parent or doctor) suspect a button battery ingestion or insertion, call Poisons Information on 131 126 for 24/7 expert advice. This article was written by Yvonne Zurynski, Associate Professor Health Systems Sustainability, Australian Institute of Health Innovation, Macquarie University. This article was originally published on The Conversation. Read the original article here.